The introduction of the Women's Rights movement to Worcester was ushered in by a convention on December 24th, 1850 that focused primarily on the issue of expanding educational opportunities to women, especially in the area of medicine, which at the time stood as a "male monopolized" field. Thirty years later, Worcester's next generation of women established the Worcester Woman's Club on the day of the groundbreaking convention's anniversary. "The Worcester Woman's Club was divided among committees on literature, history, art, science, work and education, and social entertainment, as well as the promotion of industrial training in public schools and public kindergartens" (Worcester's Best 15). With no central meeting site to house the organization, the women met within the private parlors of member's residences. The women of this prestigious club were the wives and daughters of the industrialists, most of them educated, but by no means freed from the social and class constraints characteristic of the time. From its foundation in 1880 as a group of 22 women it had grown to 600 members with a waiting list of more than 100 by the late 1890s (Worcester Magazine 160). The Club clearly needed a permanent site within the community and was given a lot from Stephen Salisbury III. The building's main hall was named after Mr. Salisbury's grandmother Elizabeth Tuckerman, keeping the club firmly rooted within the community of Worcester, particularly it's elite. With a budget of over seventy thousand dollars, the Worcester Woman's Club was well on its way to establishing what can arguably be considered one of the city's finest cultural institutions. The Woman's Club was never a "competitor" of Mechanics Hall, which predated Tuckerman Hall and set the standards for performance venues in Worcester. In reality, the two truly complimented each other. 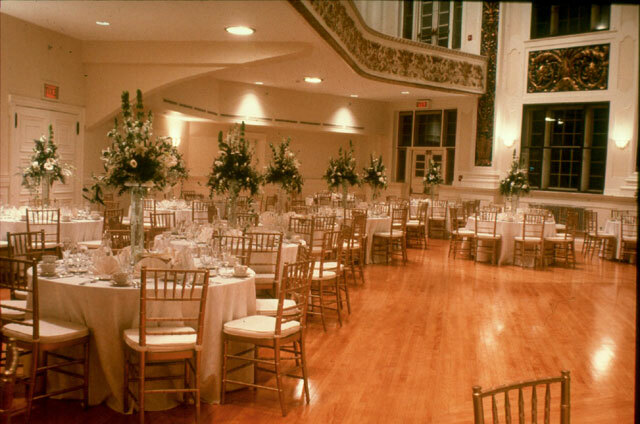 The Woman's Club building served as an enriching and artistic venue for a long and eclectic list of programs which drew a wide range of attendees from the city. 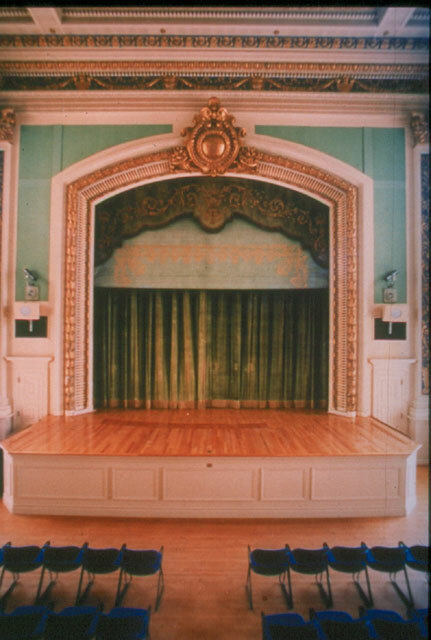 However, both the size of the audiences (between 100 and 800, depending on which hall was used) and the appeal of the events (a more family-oriented or social theme can be detected in the canon of Tuckerman Hall events) differed from those of Mechanics Hall. "Pop" historical performances included a 1914 "Evening of Humor and Songs from the South." Authentic medieval drama was represented by an enactment of the "Pilgrim Chester Mystery Plays" (December 6, 1910). There were also frequent musical concerts (often put on as fund-raisers for either the club itself or one of the club's many community service projects) of classical favorites like Bach, Wagner, Chopin, Liszt, and Mozart - and many of the solo musicians for these concerts were female pianists, violinists, and singers. It is easy to imagine that at a concert starring the Brown and Amherst Musical Clubs of College Boys (May 19th, 1905), the stage was graced by the sons and nephews of the ladies of the Club. The Woman's Club also hosted ballet companies, chamber groups, and symphonies from elsewhere in the country and the world. In addition to these theatrical and musical events, the Woman's Club hosted many interesting and worthwhile lectures, ranging from travelogues and house-keeping advice for needy Worcester mothers, to political presentations and scientific lectures. One of the most influential speakers, Fra Elbertus (Roycroft Ideals lecture) was a representative of the Arts and Crafts Movement of the turn of the century. During the first half of the 20th century, the Hall boasted other greats including Presidents Woodrow Wilson and John F. Kennedy. 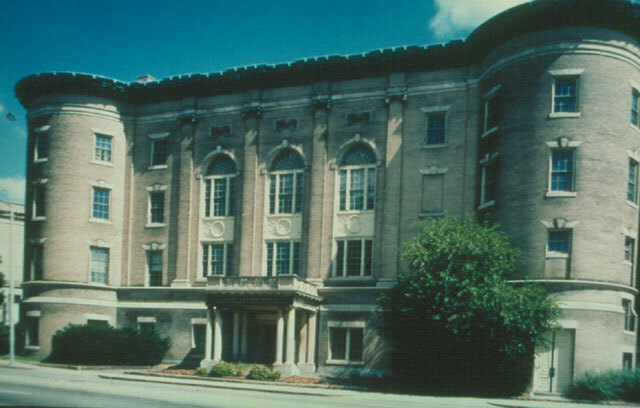 However, although extensive records exist of the performances that took place over the years at Tuckerman Hall, (before its mid-century decline and recent resurrection as home to the Central Massachusetts Symphony Orchestra and community rental hall), we must not forget that it also served as headquarters for an extremely active community group in the city of Worcester. In the days before the New Deal, social welfare for the less-fortunate was left primarily either to church charity or to private groups such as the Woman's Club. One of the Club's largest projects, for example, provided summer vocational school programs all day for hundreds of local children and adolescents, relieving the stress of working parents. 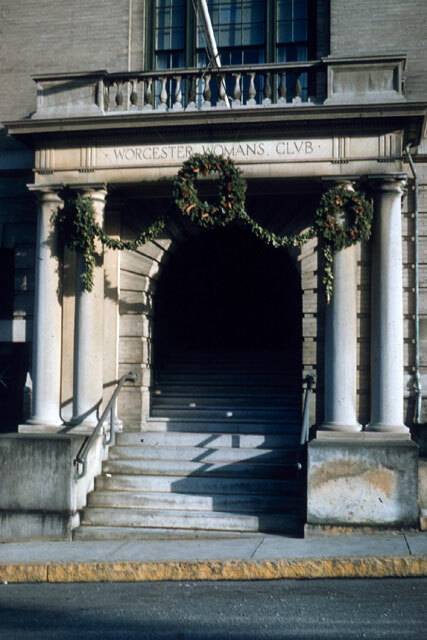 Perhaps the rise of governmental aid was a factor in the Club's gradual loss of relevance to city life in Worcester; however, during its heyday between 1900 and 1930, the Woman's Club - its building, its members, and their activities - left a lasting mark upon the city of Worcester. The building that housed the Worcester Woman's Club was erected in 1901-02 at the corner of Tuckerman and Salisbury Streets, immediately next to the brand-new Worcester Art Museum. Both institutions were the beneficiaries of the generosity of Stephen Salisbury III: the heir to the Salisbury fortune donated a small and irregular corner of his property (left over after the Museum, which he founded, opened its doors in 1898) to the Woman's Club for their first clubhouse. This large and active group's need for its own meeting space and function facilities was obvious to both its members and, it would seem, to the rest of the city as well. When the time came for the selection of an architect, the leadership of the Club chose Josephine Wright Chapman and her creative site-appropriate Federal Revival design. "Worcester County people are proud of the fact that she is originally a Fitchburg girl," stated an article in the November 1902 Worcester Magazine (158). Chapman - a self-made woman who left home against the wishes of her family, sold her jewels and clothing to survive, apprenticed herself to the high-profile Boston architect Charles Blackall, and set up her own firm by the 1890s - achieved recognition in her field when she won the design for the New England building at the Pan-American Exposition at Buffalo. 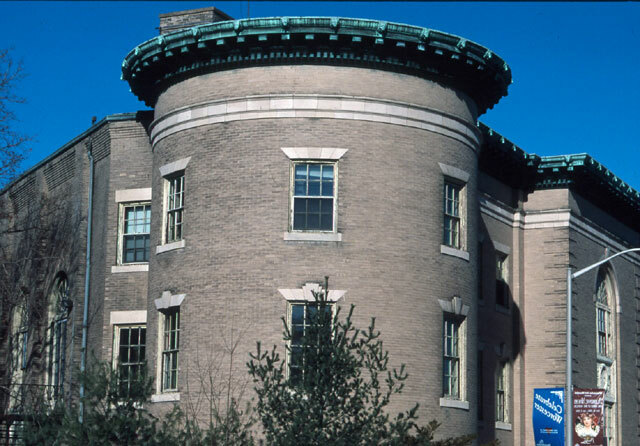 She also designed in 1897 a student residence for Harvard University, now Chapman Arms, Harvard Square, Cambridge MA. Chapman's building not only solves the unique challenges of a triangular and steeply sloped site, but also reflects in its style the mission of the Woman's Club within the context of booming Gilded Age Worcester. According to the Worcester Magazine, "the chief motive of the organization has been not personal ease nor comfort, but the pushing of mankind up to higher planes of living and doing." The Club's goals of self-improvement for its membership as well as the social and cultural betterment of the city (including Worcester's less-fortunate inhabitants) recall the ideals and aspirations of the young Republic a century earlier, and make the popular Federal Revival (or Colonial Revival, Georgian Revival, or Neo-Adamesque) style of the turn of the century a perfect choice for the physical manifestation of the institution. The Federal Revival was popularized primarily through the work of the omni-present American architectural firm McKim, Mead and White, beginning in the mid-1880s. Along with the simultaneously popular Renaissance Revival, the Federal Revival was supposed to "restore order to the architectural scene" (Whiffen 160). The Federal Revival of course resurrects the accomplishments of Federal-era architects such as Charles Bulfinch, Samuel McIntire and William Thornton, who were in turn inspired by Classical sources such as Palladio, and the mid-18th century English twist on the concept by the English brothers Adam. they looked to the exuberant Renaissance styles of Spain or northern Italy; and for educational or domestic buildings, to the Georgian tradition of colonial America [for example see the Lathrop House, Chicago 1892]" (Watkin 458). The building itself (now known as Tuckerman Hall, although originally that name referred only to the larger of its two performance/gathering halls) fits perfectly on its unusual site. Although it is a nearly equilateral triangle in form, the clever placement of protruding round towers at each corner give it the appearance of a much larger square structure when viewed from any of the three facades. Entrances are located on Tuckerman and Salisbury Streets, the former designed to be the primary entrance to the main hall (capacity 800 at the time of construction, 550 today), the latter on a lower level to provide access to the smaller circular auditorium known as Dean Hall (capacity 300 in 1902, 200 today) (Worcester Magazine 160). The three towers contain circular parlors for more intimate gatherings, decorated in themes such as Dutch, Moorish, Renaissance, and Colonial. The light brick exterior of the clubhouse presents a smooth symmetry, reflecting the refined taste of the ladies of the organization. The building style is identifiable as Federal Revival by its "mixing of stylistic details taken from Georgian, Federal, or even Greek Revival sources and used together on a single design" (Langhart 16). The exterior boasts classically-inspired (thus Georgian- and Federal-inspired) details such as three-story attached brick pilasters, two limestone entry porches supported by smooth columns and crowned by balustrades, white molded courses above the first and fourth stories, pressed metal panels with decorative floral and wreath designs, rectangular double-hung sash windows, splayed lintels with centered keystone blocks, and arched leaded fanlights above the tall central windows (three on Salisbury Street, one on Tuckerman Street). 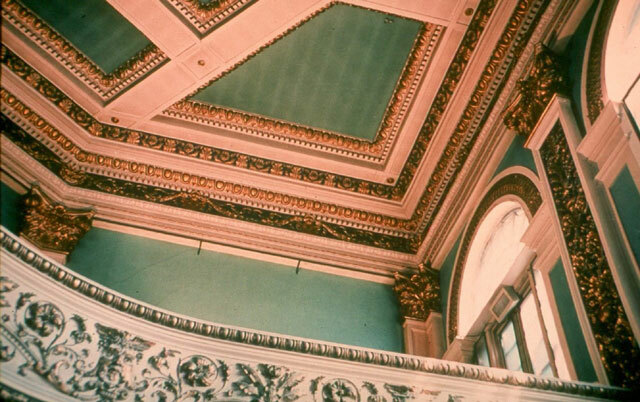 A copper balustrade above the cornice, recalling Federal sources, once finished the flat skyline of the structure. The diverse shapes of the interior rooms - including circles and a triangle - reveals the Federal influence, when varied geometric shapes such as oval, ellipse, circle, and polygons, became stylish in more sophisticated buildings (Langhart 4) (see the Octagon in Washington, D.C. by William Thornton, 1800 and Gore Place in Waltham, Mass., associated with Charles Bulfinch, 1806). The interior also demonstrates Federal inspiration through its decoration, designed by the architect herself. 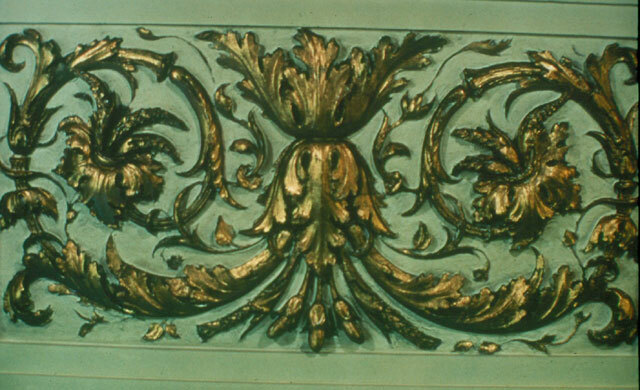 The Adam brothers popularized Classical and mythological details for interior decoration, as exemplified in Syon house; however, for a more direct source of these vivacious embellishments, we can probably refer to Chapman's architectural trainer Clarence Blackall, responsible for Boston's opulent theaters (including the Colonial, the Wilbur, and the Wang Center). Intricate gilded floral and figural reliefs accented the blues and greens of the wall. The building's opening was held on the evening of October 6th, 1902 and as reported by the Worcester Magazine, "No public building in this city can vie with it in the richness and splendor of its adornments, and far larger cities can show very little that surpasses them" (Worcester Magazine 157). This "true gem" (Sunday Telegram L6) and acoustic marvel was quite versatile, boasting a wide range of facilities from the large Tuckerman Hall and smaller Dean Hall, to eight suites which provided a more intimate venue. 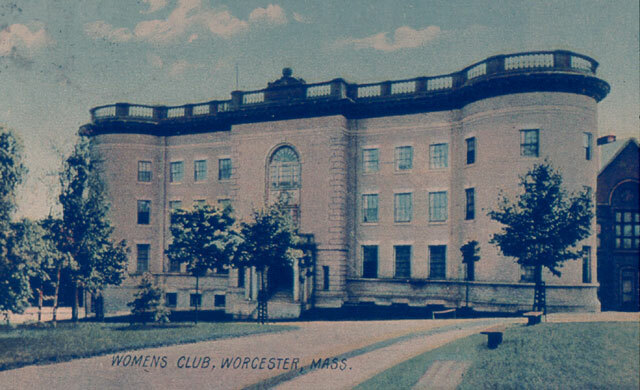 The Worcester Woman's Clubhouse was without question a great success for its club, its architect, those who attended functions and performances within, and for the city as a whole. Luckily, it remains standing today, a venue for the Central Massachusetts Symphony Orchestra and for community events like weddings musical performances, corporate fund-raisers, etc. 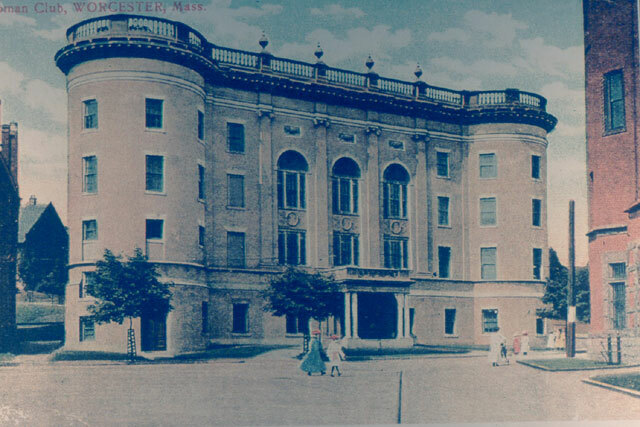 The Worcester Magazine's enthusiastic reception of the building in 1902 still rings true today: "No traveler, from near or far, will hesitate to pronounce the clubhouse not only unique, but strikingly beautiful, a tribute alike to the woman who designed and the women who accepted" (158). Andrews, Wayne, Architecture, Ambition, and Americans: A Social History of American Architecture (Revised Edition). New York: The Free Press (Macmillan Publishing Co.), 1978. Langhart, Nick, Antique Homes Guide to Styles: Domestic Architecture of New England to 1920. Douglas Mass. : Antique Homes Magazine, 1999. Knowlton, Elliot B. and Gibson-Quigley, Sandra (Editors), Worcester's Best, 2nd Edition: A Guide to the City's Architectural Heritage. Worcester, Mass. 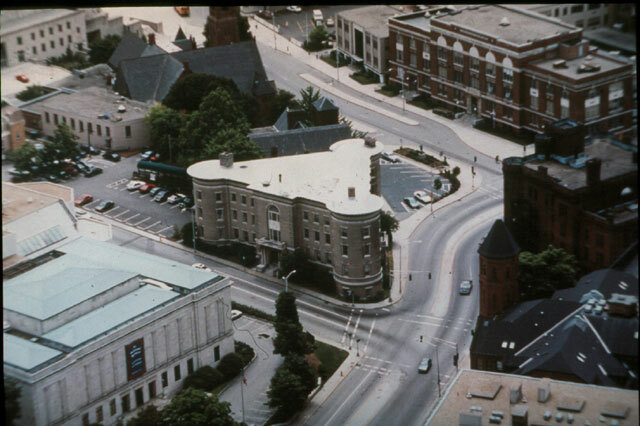 : Preservation Worcester, 1996. Smith, G. E. Kidder, Source Book of American Architecture: 500 Notable Buildings from the 10th Century to the Present. New York: Princeton Architectural Press, 1996. Sunday Telegram (no date listed) "Tuckerman Tales." [Worcester Historical Museum]. 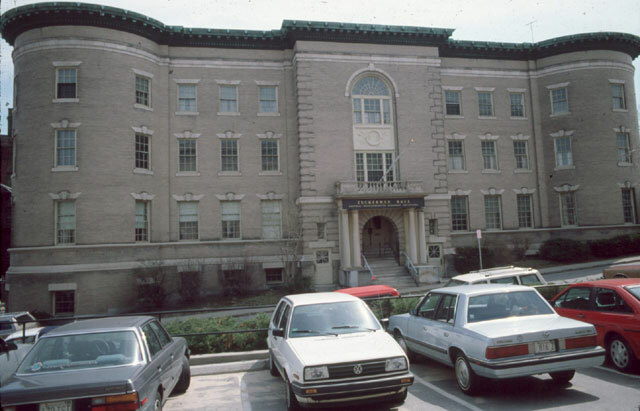 Sunday Telegram (September 29, 2002) "Tuckerman Hall Celebrates 100 Years." L6. Sunday Telegram (October 29, 2000) "Restored Tuckerman Hall: Shining Tribute to Women." Watkin, David, A History of Western Architecture, New York: Thames and Hudson Inc., 1986. Whiffen, Marcus and Koeper, Frederick, American Architecture, Volume 1: 1607-1860. Cambridge, Mass. : The MIT Press, 1981. Whiffen, Marcus, A Guide to the Styles: American Architecture Since 1780. Cambridge, Mass. : The MIT Press, 1981. Worcester Magazine, Vol. IV, No. 5 (November 1902): 156-162 and 185-188. Worcester Magazine (October 3, 2002) Tuckerman Hall's Centennial Celebration: A Crowning Achievement for Worcester Women."